Going to Santa Barbara via Amtrak? Money-savers await. 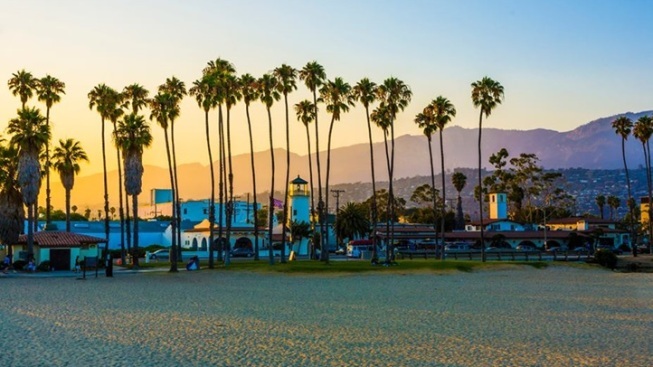 Going to Santa Barbara via Amtrak? Money-savers await at businesses around town, train enthusiasts. EARTH DAY EVERY DAY: Santa Barbara's ties to Earth Day are historic -- the April mind-the-planet happening has early roots in the red-tiled city -- but its devotion to changing up habits that could help the environment extends well past a certain day that falls during the fourth month of the year. Santa Barbara Car Free is a coalition that keeps the discounts, deals, and specials coming via dozens of local businesses. That is, of course, if you've taken the train to the American Riviera and have a ticket to show for your ride. It's an ongoing good thing that is good-thing-ing up the remainder of 2015, through New Year's Eve. Once you have that ticket and you start waving it around town you'll find a whole bunch of discounted doings to enjoy, like free admission at Casa Dolores (eye thousands of ancient objects made of clay, wood, and more at the museum) and a 2-for-1 wine tasting. There are also discounts on things that move, from bikes to boats, so save a few bucks on Santa Barbara Trolley Tours, fifty bucks off per couple at Segway of Santa Barbara, and thirty percent off at Wheel Fun Rentals of Santa Barbara (those charming surreys are symbolic of playtime close to the shore). So, you train it into town, only to save on other stuff that moves? Wise, very wise. But you could also.